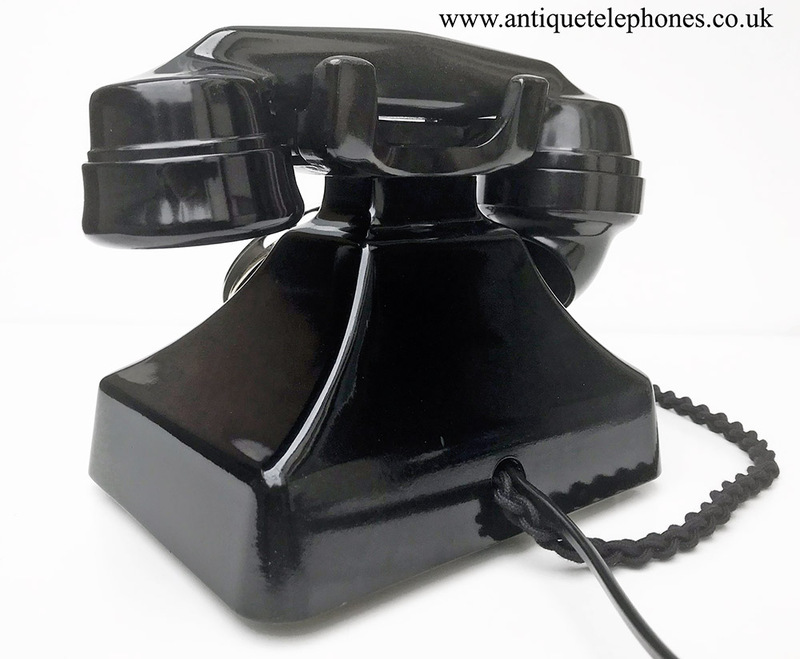 This a beautiful 1930s Bakelite telephone with with a beautiful full blooded double gong mechanical bell. 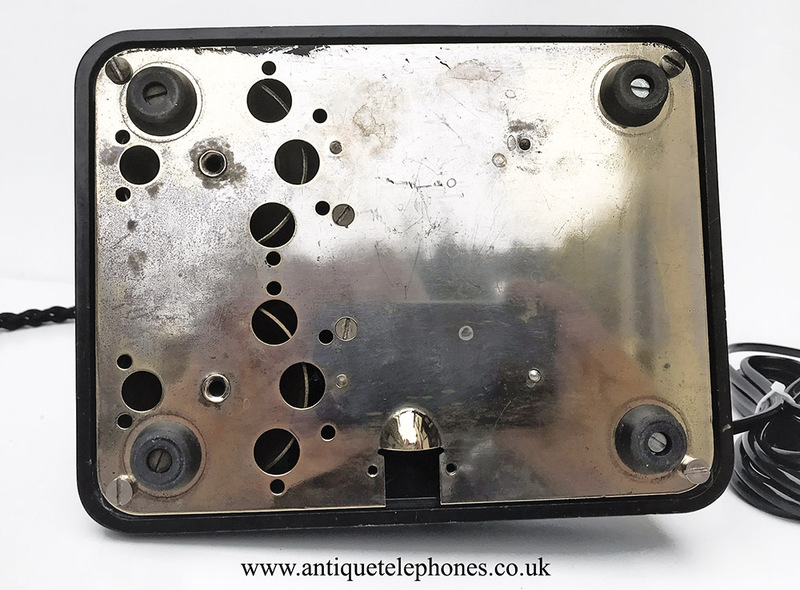 The dial is a GPO No10 enamel faced dial with a stainless steel finger wheel and dated 1936. 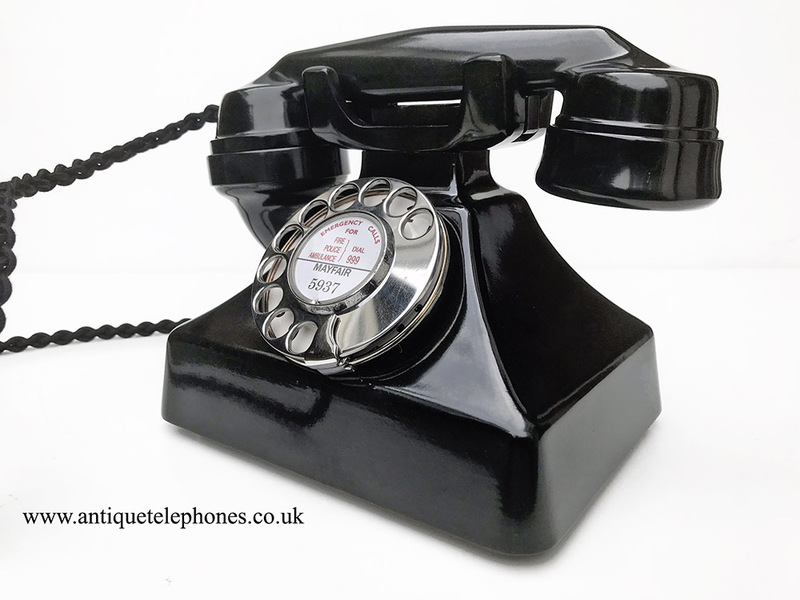 I have fitted it with an electronic microphone, a very best quality hand plaited all British manufactured black braided handset cord and a quality D shaped plastic line in cord made by me with a UK telephone plug socket. 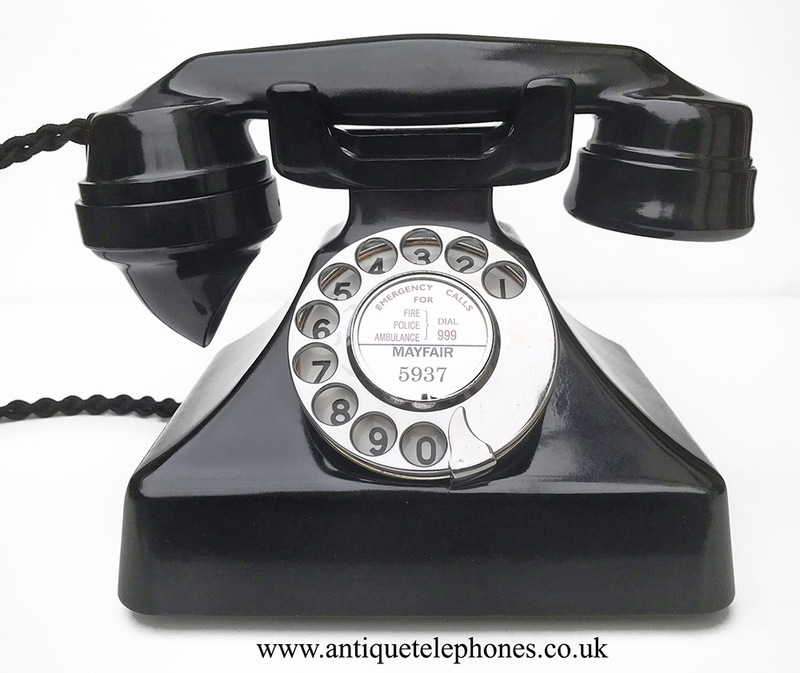 It has been fully converted and put on our test equipment and then on our own BT telephone line to make sure it is working perfectly. 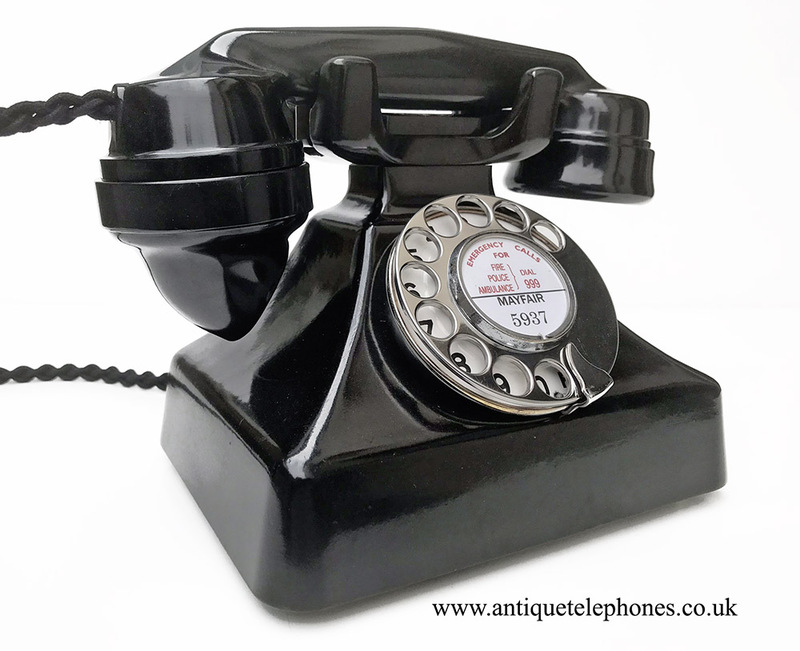 It will work on most telephones lines including BT but TalkTalk may not work to dial out. To future proof and it allow it to work on any telephone network including TalkTalk and worldwide including modern Voip systems then opt to have a pulse to tone unit fitted on checkout. I can fit a dial label with your information at no extra charge.